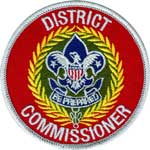 Last week I attended the annual Eagle Scout Recognition Banquet, held to honor the young men who earned Eagle last year. 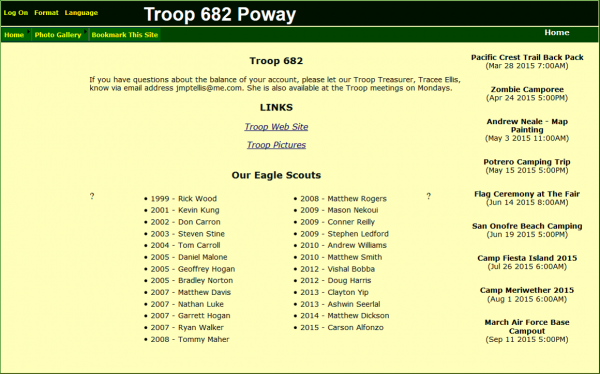 Adult Eagle Scouts like me each paid to sponsor one of the new Eagles. The young man they paired me up with hopes to be an engineer like me, so we had an interesting talk. He is in college now; he earned his Eagle only one week before his 18th birthday. 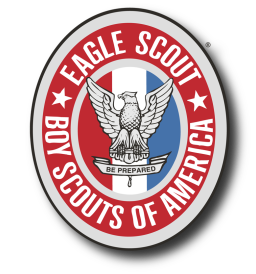 As I looked around though, I saw Eagles of all ages, some pretty young; some, like my sponsored Scout, a bit older. Some of them had exactly 21 merit badges on their sash; other had sewn three sashes together to be able to fit them all. I’m going to take a detour for a minute here. 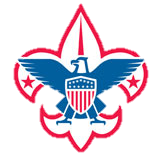 You probably recall that the basic shape of the Boy Scout logo is the fleur-de-lis. 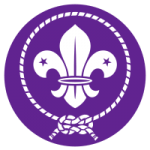 Do you recall why it was chosen as Scouting’s symbol? 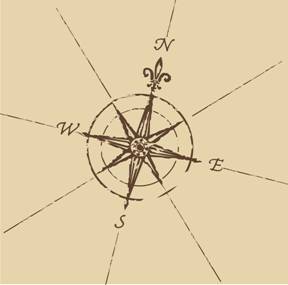 It was chosen because it was often used to indicate north on a map. It’s a reminder to keep yourself pointed in the right direction. For many of you, earning Eagle is one of the stops as you travel in that right direction. During 2015, it looks like at least seven of you will earn Eagle. On a map there is almost always more than one way to get from one place to another; there are usually several roads leading north. In the same way, none of the seven of you have taken the same path to Eagle – and that’s good. At least one of you took the freeway. You got on that road and went about as fast as you could right to Eagle. Another of you went pretty fast, but stopped at every tourist attraction along the way. (How many merit badges do you have now?) Another took the old highway. It’s a slower, and meanders some, but it’s always moving towards the destination. And yet another of you went pretty fast most of the way, and then parked for a while at Life. Every one of their routes was a good way to get there; they all kept moving in the right direction. Are you?